DnBuster's Place: Looking for a Family Friendly way to ring in the New Year!? Looking for a Family Friendly way to ring in the New Year!? to ring in the New Year!? Medieval Times in Dallas TEXAS!! A great place would be the Medieval Times in Dallas TEXAS!! 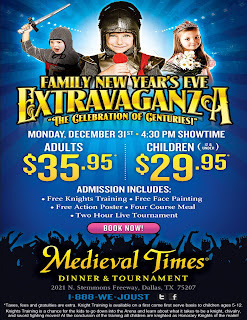 On Dec 31 at 430pm Medieval Times is hosting Family New Years Eve Extravaganza! And a FREE Action poster for every child! 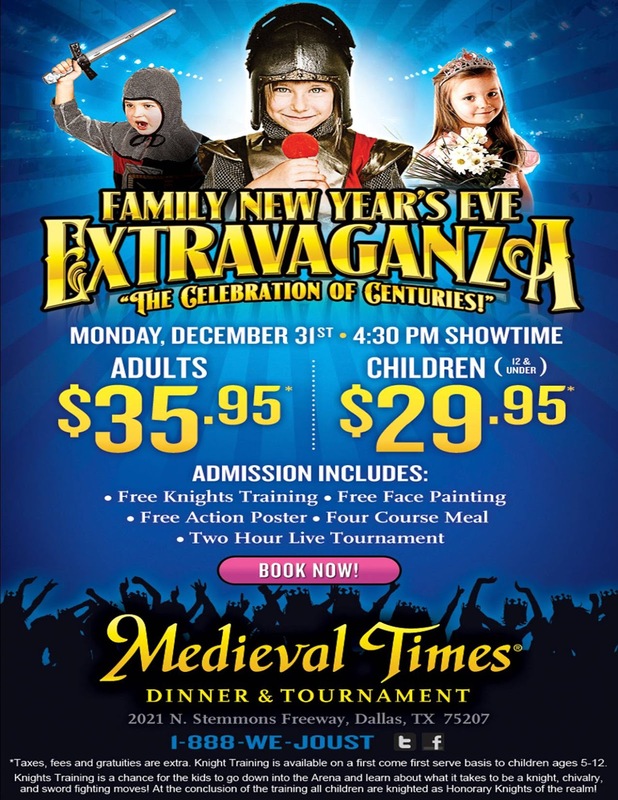 SPARK UP some excitement for the kids this year New Years with a visit to Medieval Times!